Hope that this list will be helpful for you. 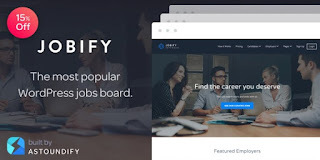 Create your own job board or connect your existing one to post and manage job offers in your company or organization via WordPress with Osclass.com. If you are using WordPress you can now publish and manage the job offers in your company absolutely for free with Osclass technology, HR software used already by over 4.000 companies all over the world. WPJobBoard is a feature-rich job board solution that is actually separated out into a plugin and theme. The main part of the WPJobBoard solution is a plugin. But there is also a very nicely done theme that’s included with it. While the theme that comes with the plugin doesn’t have styling options, you can change anything and everything by simply going with a new theme. Let’s take a look at this solution and the job theme it comes with. The Zartis Job Plugin lets you quickly and easily create your own jobs page and automate much of the recruitment process. The easiest way to post jobs and manage candidates in a WordPress site. Connects with SmartRecruiters, your workspace to find and hire great people. Additional Job Widget to display jobs on other sites. Download Job Manager by SmartRecruiters! Easily add your JobScore open jobs to your WordPress site and customize the look of the Job Manager by JobScore Careers site. 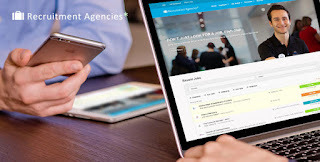 Recruiters can manage job listings without having to login to WordPress admin. Quickly integrate your job board into any page on your site with our fast and customizable jobs page plugin. Customize the plugin’s job page to match your website’s look and feel. Super fast install and setup. Download Job Manager by JobScore! Download WP Job Manager – Company Profiles! Allows the admin to create and show job postings. Users can submit their resume in response to a posting or for general purposes. Download Resume Submissions & Job Postings!